Michael Jeffrey Jordan was born on February 17, 1963, in Brooklyn, New York, but his family decided to move to Wilmington, North Carolina when he was still a toddler. Jordan is the fourth of five children, having two older brothers and an older and younger sister. Michael's dad worked hard at an electric plant while his mom labored full-time at a bank. Jordan's parents worked hard to provide him and his siblings with a comfortable lifestyle. As a child, Jordan played baseball, basketball and football. His preferred sport at the time was baseball but after he began spending a lot of time on the basketball court, his outlook changed. Because his older and taller brother, Larry, continuously kept beating him when they played one-on-one, he was determined to become a better player. Ironically, in 1978, when Jordan attended Laney High School in Wilmington, North Carolina, he was cut from the varsity team. Instead of giving up, however, he fought through adversity and became the greatest basketball player in the world. Between the 10th and 11th grade, Jordan grew from 5'11" to 6'3", and because he had improved greatly as a player, he made the varsity team the following year. Jordan played so well in his junior season that he was invited to attend the Five-Star Camp in Pittsburgh, Pennsylvania, during the summer before his senior year. 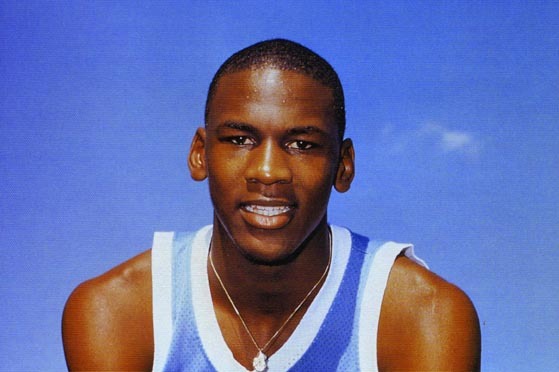 By the time Jordan was finishing his senior year at Laney, he had grown to 6'5" and attained a basketball scholarship from the University of North Carolina. Jordan's ever-growing popularity began at UNC where he made a last minute game-winning shot in the NCAA championship game. In the summer of 1984, Jordan played on the US Men's Olympic Basketball Team under head coach Bobby Knight. The team had such college players as Jordan, Patrick Ewing, Chris Mullin (NBA players weren't allowed to compete in the Games until 1992). Jordan's plays quickly awed the other teams. He scored 14 points against China, 20 against Canada and 16 against Uruguay. The US won all eight of the games by an average of 32.1 points per game. Jordan led the team in scoring with an average of 17.1 points per game. Two months after the Olympics, Jordan played his first regular-season game with the Chicago Bulls. Jordan immediately proved that he belonged in the big leagues and his acrobatic moves and hang-time won him the infamous nickname Air Jordan. His basketball skills and allure made him the perfect key figure to market both Nike products and the NBA. 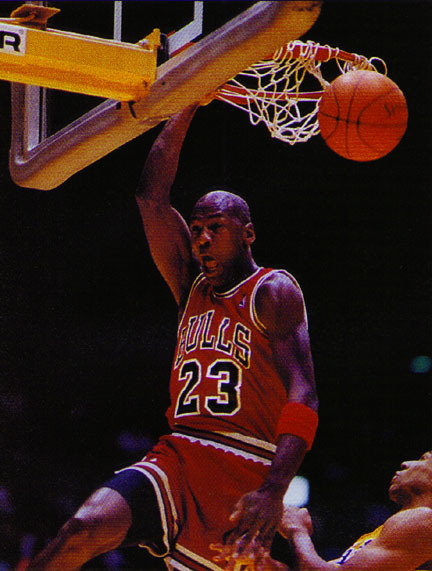 Jordan led the Bulls to three consecutive World Championships (1991, 1992 and 1993). Jordan retired from the NBA preceding the 1993/94 season after the mysterious death of his father and after rumors about his gambling addictions began to circulate. After proving that he was the best basketball player in the world, Jordan sought a new challenge and decided to try his hand at professional baseball. He played outfielder for the Birmingham Barons, affiliates of the Chicago White Sox. Jordan quickly realized that he was not cutout for baseball after a disappointing season. In 1995, Jordan made a surprise return to basketball right before the playoffs but unfortunately, the Bulls didn't win the Championship. 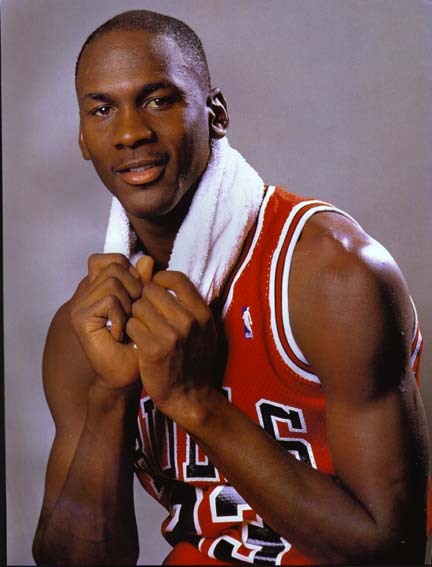 In 1996, Jordan led the Bulls to their best regular season record and the fourth Championship title in six years. He also took a shot at the silver screen, where he starred alongside Bugs Bunny in the animated comedy Space Jam. Jordan decided to retire after winning his last Championship in 1999. He has decided to dedicate his life to his wife Juanita, and their three children, Jeffrey, Marcus and Jasmine. Jordan resides in Highland Park where he is happily enjoying his retirement. Jordan was drafted by the N.B.A. 's Chicago Bulls after his junior year in college, and immediately proved that he belonged with Magic Johnson and Larry Bird on the league's short list of superstars. The newcomer's athleticism, acrobatic shots, and pure hang-time earned him the nickname "Air," as well as millions of imitators around the globe. These same attributes, coupled with his charisma, made him a marketer's fantasy: over the course of his career, he almost single-handedly boosted two organizations--Nike and the N.B.A.--into positions of almost frightening international ubiquity. Air Jordan capped his career--and shook a nagging reputation as a selfish player--when he led the Bulls to three straight World Championships, in 1991, '92, and '93. But then, suddenly, things began to fall apart. Rumors of a gambling addiction began to surface; then, his beloved father was murdered under mysterious circumstances. Weary of the intense scrutiny he'd been subjected to, and saying he had nothing left to prove in basketball, Jordan retired from the N.B.A. prior to the 1993-94 season. As the spring of 1994 rolled around, Jordan faced a new challenge: professional baseball. Despite the fact that he hadn't played organized baseball since high school, the former shooting guard became an outfielder for the Birmingham Barons, a minor-league (class AA) affiliate of the Chicago White Sox. While he enjoyed his time on the ballfield--he'd shared with his dad the dream of playing in the major leagues--he was by no means a natural there. After one mediocre season with the Barons, Jordan was through with baseball. He took the winter off, then made a surprise return to basketball, just in time for the 1995 N.B.A. playoffs--much to the relief of Bulls fans, the league, and his portfolio of sponsors. Although that championship eluded him, Jordan came back with a vengeance in 1996. He guided Chicago to the best regular-season record in N.B.A. history, was named the league's Most Valuable Player for the fourth time, and led the charge as the Bulls won their fourth World Championship in six years. An emotional Jordan dedicated the win, which fell on Father's Day, to his late father. One month later, Bulls owner Jerry Reinsdorf rewarded his star player by signing Jordan to the largest one-year contract in the history of professional sports. Already one of the most high-profile celebrities on the planet, Jordan followed fellow N.B.A. superstar Shaquille O'Neal to the silver screen, when he reteamed with Bugs Bunny--the two have appeared together in several Nike commercials--in the Warner Bros. cartoon comedy Space Jam. HE is the greatest basketball player of all time. He's the greatest one-man marketing machine ever to hawk a burger or athletic shoes. He may be the most famous person on Earth. He's--well, he's a pretty decent baseball player, too. But whatever else Michael Jordan may be, he isn't yet a great actor. Not that it matters: whether he's on the set of Space Jam or gliding down the court at the United Center, Jordan is the star of the show, and he knows it. So does Space Jam director Joe Pytka, who has developed a tolerance for the good-natured ribbing Jordan routinely gives him. "You'll have to move up a bit," Pytka instructs Mike on the final day of shooting. "Sure, sir," responds Jordan, a twinkle in his eye. "Slow down the line a bit." "Don't overlap the other lines." "Don't do that to me." After two months on the set, Jordan seems to have adopted the personality of his Space Jam co-star Bugs Bunny. It's not surprising: if you'd spent the summer filming a $100-million mega-production opposite Bugs, Daffy Duck, Charles Barkley, and Bill Murray, you'd be singing Looney Tunes too. But though Jordan acts a bit daffy at times, he is a thoughtful man. He describes the whiz-bang, effects-laden Space Jam--in which he joins forces with Bugs and company to slam dunk some nasty aliens--as a "message movie." The message, he says, is this: "To be successful, a team has to have the same goals and the same focuses." During a break in the final day's filming, Jordan took an hour to chat with Mr. Showbiz about this philosophy and much more, including his movie, the differences between acting and athletics, and why he and Bugs are such good buddies. Mr. Showbiz: Let's take care of the important business first: which member of the Looney Tunes gang are you closest with? Michael Jordan: Probably Bugs. I've done a lot of work with him. [Laughs] He's very, ah, clever. Smart. I like the way Bugs leads his life, and if I could go through life like him, that'd be great. Bugs has a good life. He tends to pick on people a lot--I tease people a lot, too, you know. And he's perfectly cool. So for a long period of time as a kid, you know, I admired Bugs Bunny, and that cute Tweety Bird and Sylvester were favorite characters of mine, too. I grew up with them. I always loved their chase, but somehow they cared about each other. Nate Bellamy (a former N.B.A. player who co-stars in Space Jam) was just telling me that you and he and Bugs actually are all from Brooklyn. I didn't know that. That's the first I've heard of that. Yeah, the guys who created Bugs came from Brooklyn, and they gave Bugs a Brooklyn accent. I didn't know that. I knew he was a working-class guy, though, and I've learned a lot through him. Besides your relationship with Bugs, why did you agree to do this project? For my kids mainly, at first, but it's a career move too, into a different career. So a big part of the draw was giving your children--and their children--the opportunity to see you on videotape with Bugs Bunny and all of these great Looney Tunes characters? That's a pretty amazing legacy. Well, I think that's part of the attraction, especially from a kid's standpoint. The kids get to see me interact with these cartoons for years to come, you know, and other kids will get the opportunity to see me as well. So it's one of these longevity situations that can be passed down from generation to generation. So that is a very interesting part of me doing this picture. It's a great opportunity, but it must also be very difficult to act effectively opposite animated characters who aren't even present at the time you're performing. Sure. You know, this is a very unique thing that I'm doing. It's not as easy as people might think. It's hard, and it's something that may innovate this whole business. A lot of things that [the Space Jam crew] does, it's the first time that they've done it. Space Jam is an approximation of your own life story, with a pretty dramatic plot twist thrown in: a pack of aliens attempt to abduct Bugs Bunny and his pals. You're brought into the action to save them. Is that a fair way to describe the movie? That's right. It's different all right. There's a lot of dangers involved, but the way that the players, my family, the cartoons are portrayed is fun. What can you tell us about your opponents in the movie, the evil alien Monstars? Well, I think you're going to hate them at first, but then you may like them at the end. I think that's something that kids are going to find very appealing, the cartoon characters in this film. I mean, we can learn a lot from them, and their mistakes. Are you making a message movie here? [Laughs] You know, I think that there might be something to that because kids will find something in it that's very appealing and will have a message of teamwork and overcoming the bad guys with it. I think this is a great opportunity to express motivation through other characters, such as the Monstars. Most people don't realize how hard it is to play yourself, do they? You're actually playing yourself. Well, I thought it would be easier--I mean, being as I know myself and I know my emotions, and I feel like I probably know the emotions the situation calls for. But it has been a little more work than I anticipated. It's a great learning experience, though. How did your kids and your wife feel about the fact that they were going to be depicted in this as well? They were anxious to see who was going to play their parts. And are you happy with how they look and everything? Yeah, I'm very happy. And my family is too. They love me, they love to see themselves on TV, and to see people acting as themselves. Do they look at all alike? Is there any similarity? There's some similarity, and there's some dissimilarities. The ages are about the same. I think the interaction with myself and the kids [on the screen] will seem [to the kids] to be a specific period of time in their lives. And seeing me relate to the animation, and animated characters, I think is going to be something for them to enjoy, I hope. No, it's not really a sensitive issue. I mean, it's an issue, but it's a part of my life. Was it difficult for you to have to deal with that publicly, in the movie? No. Not really. I mean, I've dealt with my emotions about that. So I don't revisit my emotions. I think about him quite a bit, and they're happy thoughts. They're not bad thoughts, they're not sad thoughts, and they're not really emotions that get me down. If anything, it interjects me to move forward. Well, it looks like a good tribute to him. Yeah, oh yeah. I'm glad that he's a part of this because he does need to be a part of it. How would you respond to another athlete who asks you what the major differences are between playing basketball and acting? Well, acting is a special talent. You have to know yourself and you got to know your inner feelings quite a bit. You got to know how to play those emotions and those feelings in certain situations. Basketball? It's not as much emotion as it is talent. You know, [as an actor] you go out with the same type of determination as a basketball player does. But it's a whole different understanding of yourself, and you deal more with your inner feelings in acting and more with your talent in basketball. Would you say that, as someone who's used to performing in public under pressure, any athlete is well-equipped to be an actor? Is it that easy to translate? I don't think so--it's not that easy. I mean, you can do it if you want to do it. Acting puts you in touch with yourself and your feelings. And you're comfortable with it if you're an outgoing person. If you're an introvert, if you're not outgoing, it's tougher, because sometimes you've got to act not like yourself. You've got to act like the character that you play. Which do you enjoy more--basketball or acting? I can never answer that. They're so different. Basketball, physically, it's demanding. Personality-wise, I think actors and performers of every type like to be around people. We love people. I love people. And I'm always very relaxed in front of people. It says a lot that after a couple decades playing basketball and starring in one feature film, you would put acting on nearly the same level. I like acting, and acting isn't as easy as people think. I really appreciate what actors go through--it's not an easy profession at all. I'm having fun doing this, yes, but there's a lot of hurry up and wait. I appreciate movies and television even greater now because of some of the things that they go through, some of the practices, and, you know, the different tactics for them to learn their lines, and the ways they express themselves on camera. Don't get me wrong, I like acting, though. What about these other guys that you brought on, Charles Barkley and Larry Johnson and Patrick Ewing and the rest? How easily have they adapted to acting? I think they've all had experience in some sort of acting, commercials or whatever. I think they can apply those situations to doing a movie. I think there's an easy transition and I'm having a ball with them, really, and they, like I, appreciate movies even more now. They've also gotten to see themselves on camera. These are guys that you're used to competing with on the basketball court. How was it to work with them on the set? It kind of broke up the monotony coming in every day, doing the same things, and seeing the same people. It's nice when you get to see a familiar face. It seems like Barkley in particular is getting a little frustrated with all the downtime that actors endure on a movie set. Well, as athletes, you know, we're used to reacting quickly. I think some of us a little faster than others. Here, it's "come, stop, come, stop." There's a lot of downtime. It drags out the day. That's the toughest part of the day--when you try to maintain those feelings and those thoughts for a long period of time with a break in between. I heard that you were teasing the other players--especially Barkley and Ewing--about all the points you've scored against them and things like that. Well, we've competed against each other so much that we have memories of accomplishments or disappointments or successes against each other. We basically just joke about it, you know, a private joke between the three of us. Did you pick the five guys--Barkley, Ewing, Larry Johnson, Shawn Bradley, and Muggsy Bogues--who were going to be the players who lost their talent to the monstars? I think it had a lot to do with Warner Bros. picking the people that they wanted to be a part of it. And all the guys I knew, and like I say, they're very experienced at doing things like this. But it made it real easy. Did it take much pressure from you to convince any of those players to appear in this movie? No, they all wanted to be a part of it. It wasn't too much of a decision for them. You've been focusing your energy on this movie for quite some time now. How has that affected your workouts for your day job? It hasn't. [Warner Bros. has] been very, very helpful in providing me with a gym and a workout facility. During lunch, I go and work out, man. It seems to be very helpful. You know, it kind of gave me a time to be in one place for a certain length of time, which is very hard for me in the summertime. And that way, my schedule's been pretty much arranged. I lift an hour and a half at lunch every day, and then I go play basketball afterwards a couple hours, so I would say I work out about three and a half hours a day. How would you compare director Joe Pytka to a basketball coach, and how would you compare a director to a coach in general? Joe is a good creator. He has his own visions about certain things, and he makes sure that that's the main reason he's doing them that way. The most appropriate thing that's going to be taken out of this is his vision of what he feels is going to happen. I've worked with him many times before on commercials, and it seems like he's always in control. I like that. Is that what it's like with a good coach? Yeah. I like to see a coach always in control. He has his vision of what he wants his team to be, and he forms that, he molds it to that look. And Joe's very similar in that way. How did he get this project to you? We've been talking about it, wow, almost three years now. I never thought it would happen. I've had a lot of offers to do other movies, but I don't think, mentally, I was ready, and I didn't really have the time to do that. Differences of opinion always seem to arise during the filming of a movie. In those situations, do you deal with Pytka like you would a coach? Yeah. We interact quite a bit, and we agree quite a bit. But he's in control and I'm listening. He's my leader and I follow. It's his industry, and as coach and a player, you learn from him and you trust him, and his judgment. I trust his judgment quite a bit. Have you actually had any input in changing a scene or changing dialogue in Space Jam, saying, "I wouldn't really play it that way?" Yes. When they came to me with this script, I thought it was ideal to get the chance to play myself. Which a lot of people say is hard, but I think it's easier for me to play myself than someone else, especially in an industry that I'm not really sure about. What specifically have you changed? The retirement speech. It was just that something didn't seem very much like me, and I wouldn't say certain things that way. Quite frankly, what they do in a lot of my dialogue isn't really me. There should be guidelines, and I could put [the lines] in whatever fashion makes me feel comfortable. Every now and then, I see producer Ivan Reitman pull you off to the side and talk to you. Is he giving input into acting? Always. Ivan is always someone I trust implicitly; I mean, he's from their industry. He's the main man. He's made a name in that industry, so every bit of advice or every little word that he can give only makes me feel better and adds to my skills. And he comforts me. Do you have a favorite movie of his that you've admired for a long time? Ah, Ghostbusters. That'd be probably one of the best movies he's done. My kids still love that movie. I still love it, and we watch it all the time. He has great comic timing. Great timing, great understanding for scenes that bring out laughter. You can't really talk about comic timing and Ghostbusters without mentioning Bill Murray, who's your funniest human co-star on this movie, and who happens to be an N.B.A. wannabe as well. Did you know Bill before the shoot? Yeah, he's a big basketball fan, and I've spent some time with him. He's a big golfer, so I met him originally about eight years ago. You've played golf with him in the past? Oh, I played golf with him--we're golfing pals. And working with him as an actor, which is his profession, he really made me relax, more so than anybody else. He's so spontaneous. He cracked you up a lot on the set? Oh, yes. He's a very funny guy. Everyone was funny--we've had lots of laughs with Ivan and with Joe Pytka, and Bill Murray, and Larry Bird, and, you know, people who I have known for a period of time. I thought the transition would be very, very easy, and it has been. That takes us back to the other funny guy you're sharing the screen with. Now that you've spent a period of time with him, why don't you reflect for a moment on Bugs Bunny's unique gifts as an entertainer? Bugs is a ham. He's very relaxed in front of people and knows how to entertain. It's just like me, I know how to entertain. We both enjoy our jobs. Only difference is, I don't like carrots. Michael Jordan, the best known athlete in the world, is a leading scorer in the National Basketball Association (NBA), who led the Chicago Bulls to many recent NBA championships. He is, by far, and will be for a time to come, the best basketball player in the history of the game. Jordan was born in Brooklyn, New York, and raised in Wilmington, North Carolina. He accepted a basketball scholarship from the University of North Carolina and as a freshman scored the winning basket in the 1982 NCAA championship game against the Hoyas of Georgetown. Jordan was selected college player of the year for the 1983-1984 season, and in 1984 he led the United States basketball team to a gold medal at the Olympic Games in Los Angeles. Jordan left college in 1984 to play with the Bulls. He finished his first season (1984-1985) as one of the top scorers in the league, with an average of 28.2 points per game. He was also named rookie of the year and made the first of his nine All-Star game appearances. 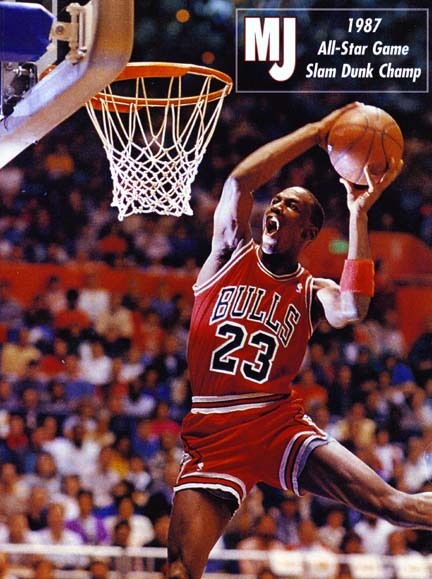 Jordan finished the 1986-1987 season as the second player, after Wilt Chamberlain, to score more than 3000 points in a single season. 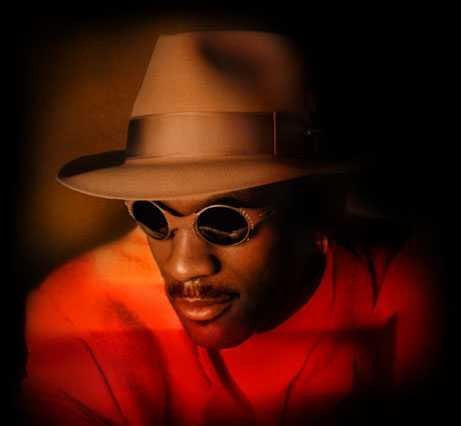 He led the NBA in scoring for seven consecutive seasons (1987-1993), tying Chamberlain's record, and averaged more than 30 points per game in each season. He also became the Bulls' all-time leading scorer and set numerous scoring records, including most points in a playoff game (63 points against the Boston Celtics in 1986); and highest scoring average for an NBA championship series (41 points per game in the 1993 NBA finals). He led the Chicago Bulls to their first NBA championship title in 1991; with Jordan, the Bulls won again in 1992 and 1993. In addition to his three league Most Valuable Player awards (1988, 1991, 1992), Jordan won the All-Star game MVP award twice (1988, 1996) and a record three-consecutive NBA championship series MVP awards (1991-1993). Jordan was also a member of the United States Olympic basketball team, known as the Dream Team, that captured the gold medal at the 1992 Olympics in Barcelona, Spain. Stating that he had lost his desire to play professional basketball, Jordan announced his retirement prior to the 1993-1994 season. Initially noted for his scoring, his tenacious defensive play had made him one of the greatest all-around basketball players in NBA history. He had also become a worldwide celebrity due to his success in the NBA and the Olympics, and his numerous commercial endorsements. Early in 1994 Jordan returned to professional sports, this time as a baseball player. He signed a minor league contract with the Chicago White Sox of the American League (AL), reported to spring training, and was assigned to the team's minor league system. That summer he batted .202 with the Birmingham Barons, a class AA affiliate of the White Sox. Later in the year he batted .252 with the Scottsdale Scorpions in the Arizona Fall League. Jordan ended his retirement from professional basketball by rejoining the Bulls near the end of the 1994-1995 NBA regular season. In the 1995-1996 season he enjoyed another great year, leading the NBA in scoring with 30.4 points per game and being named league MVP. The Bulls also became the first NBA team to win 70 games in a season, finishing with 72 victories, and they went on to win the NBA championship title. Jordan was named MVP of the NBA finals, becoming the first player to earn the honor four times.